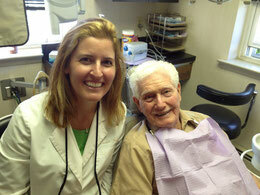 Dentist in Flourtown, PA (610) 279-0363 - Danelle C. Fournier, D.M.D. Since 2008, we’ve helped thousands of people just like you keep their smile healthy. If you’re looking for new dentist, come and check us out. We serve all of Montgomery County, including Flourtown. We also offer a 10% discount for seniors. We’re only about 6 miles from Bysher Fields Flourtown!